Bloom Crawl Space Services is a locally owned & family run company. We strongly believe in giving our customers the peace of mind in knowing their job was done right the first time! We offer trusted, proven, cost effective solutions for all your crawl space issues. We believe the Health of your Home starts Here! Have an issue in your homes crawlspace? Bloom Crawl Space Services is here to help. From Wet & Damp Crawl Spaces, Crawl Space French Drains, to repairing Damaged Crawl Spaces from rodent infestations, Bloom Crawl Space Services has the experience to fix your issues fast at a price that won’t break the bank. We are the experts in crawlspaces! Learn more about our Crawl Space Services. Bloom Crawl Space Services is highly experienced in treating water in crawl space issues. Typically sump pumps are used in conjunction with french drains where water is diverted to a low point under the structure to a catch basin. A sump pump is placed in this catch basin, and once the catch basin is full, the pump automatically turns on pumping the water safely outside. 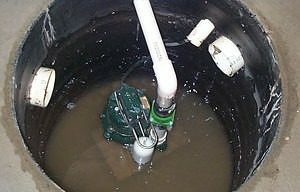 Learn more about Sump Pumps. Here at Bloom Crawl Space Services we are happy to answer any questions you have and give you our expert opinion at no charge. We believe that you should have all the facts before you decide on the best course of action for your specific problem. That’s why we offer Free quotes to determine your exact crawl space problem. If you just have a question give us a call anytime for Free Phone Advice. The crawl space is the underside of your home, and its health will determine the health of the floors above. Much can go wrong with a crawl space: pests, flooding, water damage, mold, rotting beams, and many other issues. As much as 70% of your homes air comes from your crawl space, so shouldn’t it be clean? At Bloom Crawl Space Services, we specialize in making the crawl space of your home as protected & healthy as it can be. Deciding on a new drainage system can be a complicated and frustrating task. Here at Bloom Crawl Space Services, we are experienced professionals in crawl space drainage systems. We offer free estimates and estimates and also guarantee all of our drainage systems. We install French drains and sump pumps, so call us today for your free no obligation estimate and quote.